The latest Politically Uncorrected column, the Ups & Downs from the primary election, and the Congressional Leadership Fund is changing the role of outside spending. Good morning politicos, here’s the Playbook! Politically Uncorrected: Five Takeaways That will Still Matter on November 6th: What can we glean from the primary election heading towards the general election? Post-Primary Election Ups & Downs: An absolutely zany primary season comes to an end. See who won and who lost on Tuesday. Tribune Review: Super PAC with Southwestern Pennsylvania office redefining role of outside spending: A Republican super PAC’s office in Southwestern Pennsylvania is part of a vast field operation that is redefining the role of deep-pocketed outside groups in elections, according to a Thursday report in POLITICO. The Congressional Leadership Fund, which announced it would open an office to support third-term Rep. Keith Rothfus, R-Sewickley, has collected $71 million and opened 34 offices around the country with 4,000 student volunteers, according to the report. 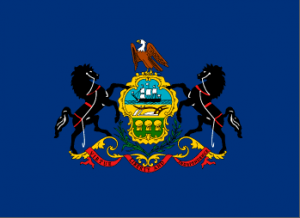 Capitolwire: PA unemployment rate sees slight drop due to fewer people in state’s labor force. 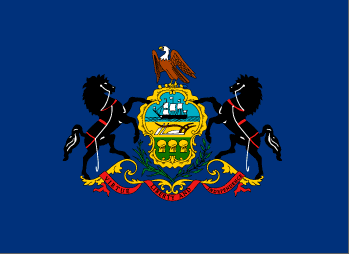 Capitolwire: PA electric, gas, water utility customers to save at least $320 million annually due to PUC ruling related to federal tax reform. Inquirer: Clout: The Kentucky Derby – an event to forget? Inquirer: Will self-made business candidates in Pa. help save the GOP majority in Congress? The Incline: What happens to Braddock if John Fetterman becomes Pennsylvania’s lieutenant governor? Post-Gazette: For some, the Kentucky Derby is an unforgettable experience. For Joe Scarnati, not so much. Times Leader: Where did Luzerne County stand statewide in primary election turnout? Has John Baer asked Fetterman out on a date yet? Baer’s Man-Crush for Fetterman is beyond the pale. Up next: John Baer wears Cheerleader uniform for Fetterman. Complaining about the press is like “working the refs”…You know you’re singing the “Love Song of A Losing Campaign” when you start griping and weeping about the press. All the hallmarks of a losing campaign are accounted for–Wagner is not going to attract independents with his dour demeanor as well as the daily Trump scandals–Wagner is sailing on his version of the political Titanic.